has the most beautiful sunset in Japan. Gakkogura~school brewery~used to be an elementary school which stablished on the hill and has the view of the most beautiful sunset in Japan, but ceased operation in 2010 due to the declining population. In 2010, OBATA SHUZO decided to renovate it to be our 2nd brewery and we have been conducting sake making there since 2014. OBATA SHUZO was established in 1892 and has been making sake MANOTSURU for more than 126 years. Our motto is 四宝和醸（shi-ho-wa-jo）, or the Four Diamonds, which means making sake by harmonizing the 4 treasures-rice, water, brewers and terroire of Sado Island. Sado is the home of the special birds, TOKI, and endangered species that only lives in our island. Our farmers grow the sake rice with as little dependence on chemical fertilizers and pesticide to safeguard the environment. Furthermore, our farmer AIDA uses the Oyster Shell farming method, which makes water rich in mineral for raising healthy, high quality sake rice. All those natural treasures make our sake so pure and rich with a regional personality which cannot be found anywhere else. 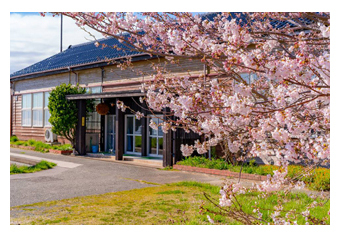 Our Gakkogura project, making sake at the elementary school was kicked off in 2014. 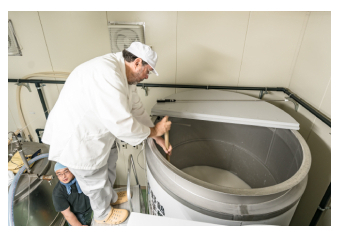 We brew sake at Gakkogura in summer, just after the head brewery’s production complete, using ingredients and energy that are locally grown or generated, to make everything sustainable.We have four pillars. 2) “Symbiosis” . 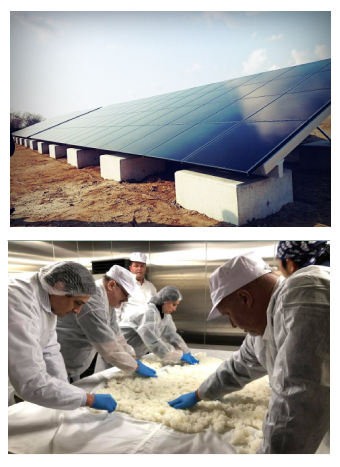 Even the energy we use is green and locally generated to show support for Sado and its environment. 3) “Leaning”. We accept anyone who wants to experience making sake on the condition that they can stay on the island at least one week. 4) “Interrelation”. Every June, we hold a one day special workshop at Gakkogura. About 120 people ranging from teenagers to elders and from all walks of life and all over the globe join the class . If you are interested in learning how to make sake, this 1 week program will be one of your choices. As an education plan, we accept the people who want to learn how to make sake on condition of 1 week participant. This year, we are going to accept during May to July with a few people in each team.The program will last for 1 week. During this time, you will lean about sake-making, also we hope you explore the island in your free time. It means that you can get acquainted with not only making sake but also the story behind our sake. Many people come to Gakkogura including foreigners. About the specific date about this program in 2019, please confirm the below. ・Through this 1 week program, you will join making sake with our brewers. ・Cost:It will be 20,000yen including work clothing. ・Time schedule will vary from day to day. Non-working time will be free. ・We won't attend the tour nor sightseeing. ・You are supposed to arrange accommodation, meals and transportation by yourself. Every June, we hold a one day special class at Gakkogura. This year, 120 people from all over Japan and even foreign countries attended this class. 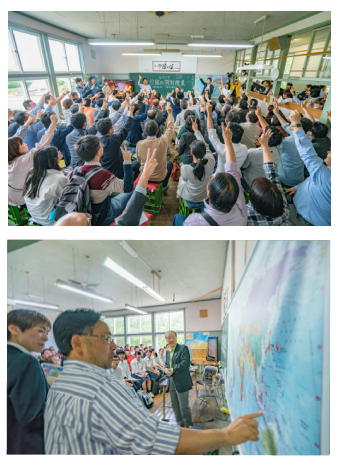 As teachers, we invited Mr. Kosuke Motani (Chiel researcher of the Japan Resarch Institute. Publication:”The true cause of deflation（デフレの正体）”,”Satoyama Capitalism（里山資本主義）” and etc), Mr. Haruaki Deguchi (The president of Ritsumeikan Asia Pacific University), Mr. Yuji Genda(Professor of Institute of Social Science, the Tokyo University. Great aspect of this learning experience is diversity. Learning, along more than 100 people, can produce something extraordinary, an unexpected self-discovery. In 2019, we will hold this Special class in June. We will notice the information in coming April. Just like a school, we have our own values. 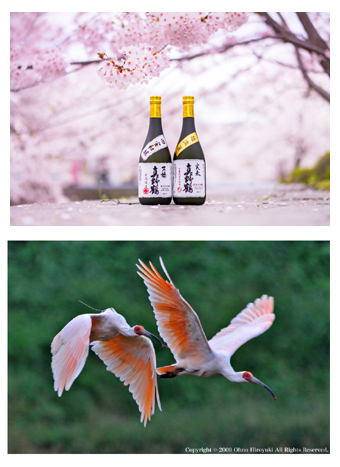 It’s 幸醸心（Ko-Jo-Shin）, meaning brew happiness by brewing sake. We hope the experience of drinking our sake will be something like drinking a cup of happiness. Copyright © 1998-2017 by 尾畑酒造(株). All rights reserved.